← Let Sleeping Giants Lie! Whenever I fly, I always request a window seat. 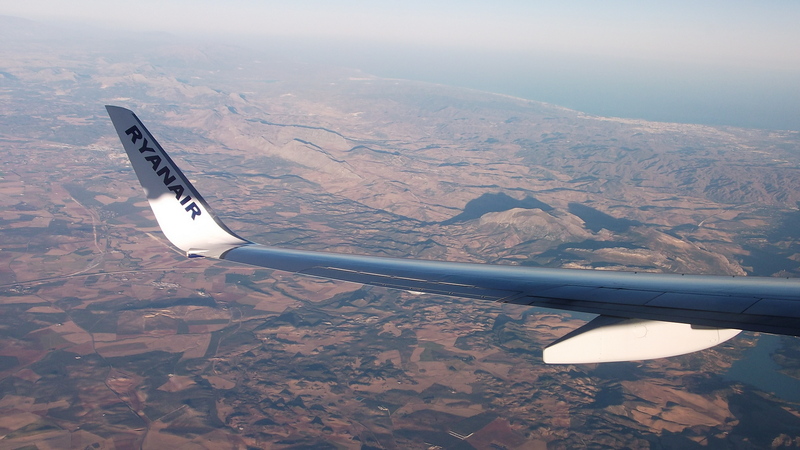 I love the view through an aeroplane window – because it means I´m going somewhere! You can often see spectacular views of the world – views which you simply cannot see from the ground and sometimes of countries that you will never set foot in. Even if there is nothing spectacular to see, just looking at the changing cloud patterns or mountain tops can be fascinating. With tight security rules and ever busier airports continuing to change air travel, rediscovering the romance of the window seat may be the most practical way to make flying more enjoyable. Why not give it a try next time you fly? 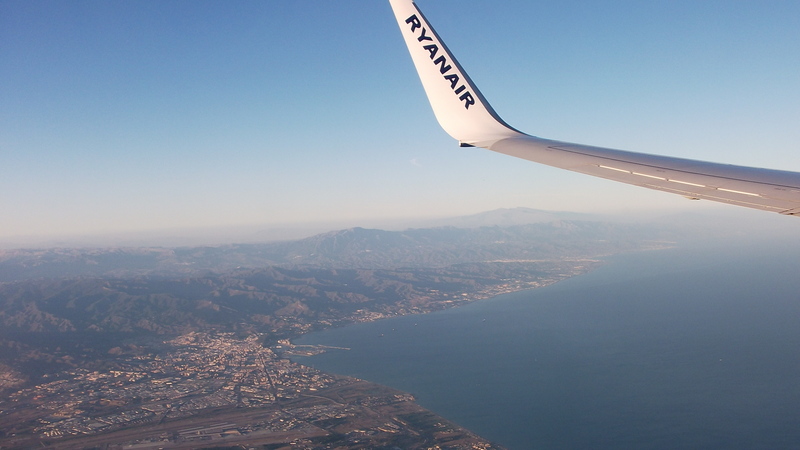 So, Señores Pasajeros (Ladies and Gentlemen) please ensure your seat-belt is securely fastened, your tray table is stowed and your seat-back is in the upright position, and join me in enjoying a smooth approach into Málaga (Costa del Sol) airport, courtesy of Ryanair. Once I can see the coast, I know I’m almost home! Often the course is out to sea (towards North Africa), before swinging back inland to head to Malaga airport from the south. Back over the coast, heading north this time. 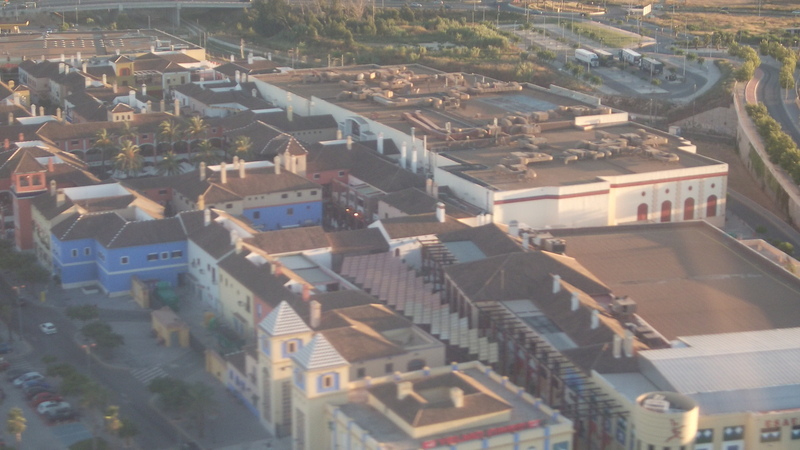 Passing directly over Plaza Mayor shopping complex – nearly down now! Do you enjoy flying or do you just tolerate it to get from A to B? Which countries have you just flown over that you would wish to actually visit? 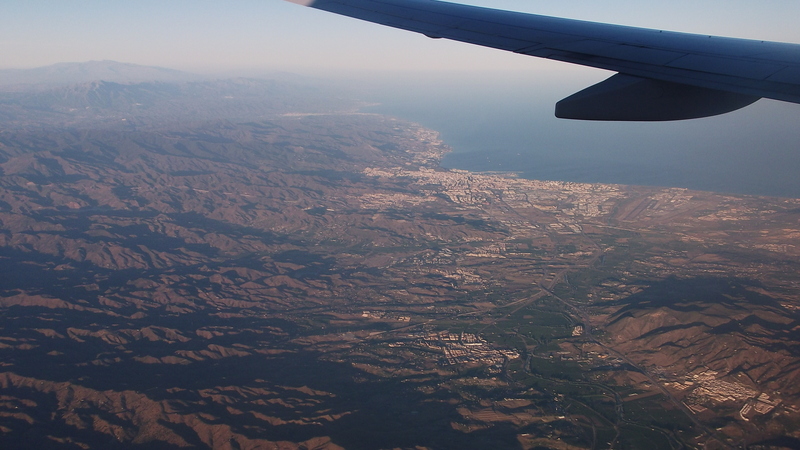 This entry was tagged Andalucía, East of Malaga, Europe, flying, Malaga, photography, Spain, travel. Bookmark the permalink. I`ve seen these sights many times and will never tire of them,the excitement that you`ll soon be there gets so much i have to grit my teeth. We’d have to flip a coin for the window : ) Lovely post and I love to fly and hope to see more of the world soon! I used to love flying, now I’m scared to fly with the kids (you have all sorts of scenarios flashing through your mind, what would you do with the kids if the plane crashed?). 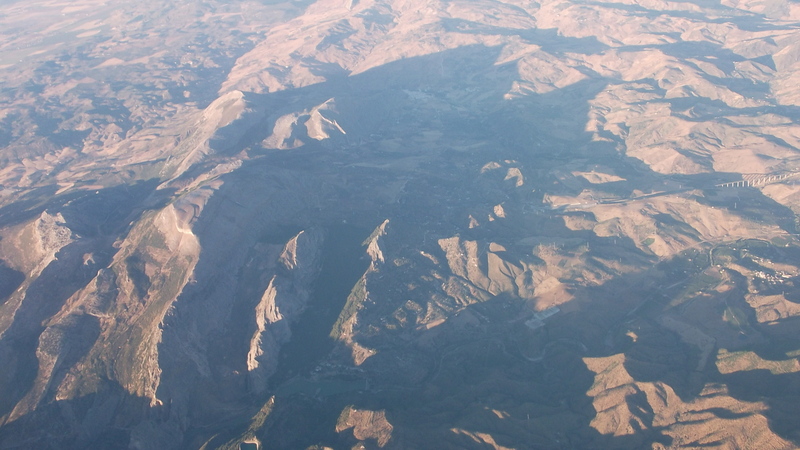 Once flew over the old Yugoslavan republic on the way to Bulgaria, before the war over there, and I really wondered what it could’ve been like if I could’ve dropped (okay not dropped literally, as in, out of the sky) down there for a peek. Too bad I didn’t go. And flying to Canada you literally spend hours and hours and hours just looking down at glaciers and snow and ice, I was soooooo glad we didn’t drop down THERE! …but think how excited your children would be to fly! My brother-in-law lives in Alberta, Canada so I know just what you mean, Chris. We had to make a stop at Toronto – and we had as far again flying across Canada to Edmonton! I’ve never seen as many pine trees in my life! Beautiful country. Thanks for the lovely comment, Sylvia. Ah, but I think the same when I’m dropping into Sydney, Melbourne, or Auckland airports. Europe is familiar to me – it sounds wonderful because it’s “different” from the norm. Still exciting though, wherever I’m flying! Like you, I LOVE to fly! I don’t mind the hassle at the airport because I know I’m going somewhere special and nothing spoils that feeling. My camera travels with me and a window seat is a must. You and I would have to arm wrestle for that! Are you back from the markets? I can’t wait to see those photos! We’d have to sit on rows behind one another and chat over the seats, Patricia. Great photos Marianne. I’m just starting to get less nervous about flying again, had a really bad flying experience a few years ago with turbulence and storms. And I normally don’t ask for a window seat on long flights until a recent trip to San Francisco and realized the fabulous views I’ve been missing out on. So now, I try not to drink too much and get a window seat and have my camera ready ;-). I’m sure most frequent flyers have had the odd bad experience with aborted landings and turbulence (I know I have), but good for you at getting back on board and discovering the window seat! Fabulous photos. 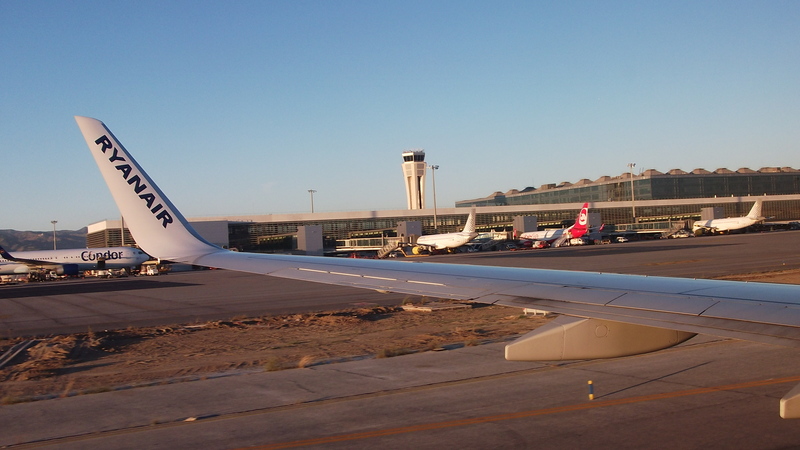 I always NEED to have a window seat – I get very frustrated if I can’t see where I am going – especially if we are flying to Malaga. As soon as we hit Spain my nose is glued to the window! Will have to remember to have my camera handy for our next trip in February. Should be able to catch some snow topped mountains then. We are counting the weeks already until we are back at our wonderful house in the countryside which we bought this year. Sometimes you have to be a bit sneaky with the air stewards on patrol, but I have taken some AMAZING shots through an aircraft window, Lesley. Yes, absolutely! We are just 8km south west of Canillas de Aceituno – we are planning to go and live there permanently from around August next year! So exciting! I still get as excited as a small child every time I fly. Love it! Glad to hear it’s not only me! 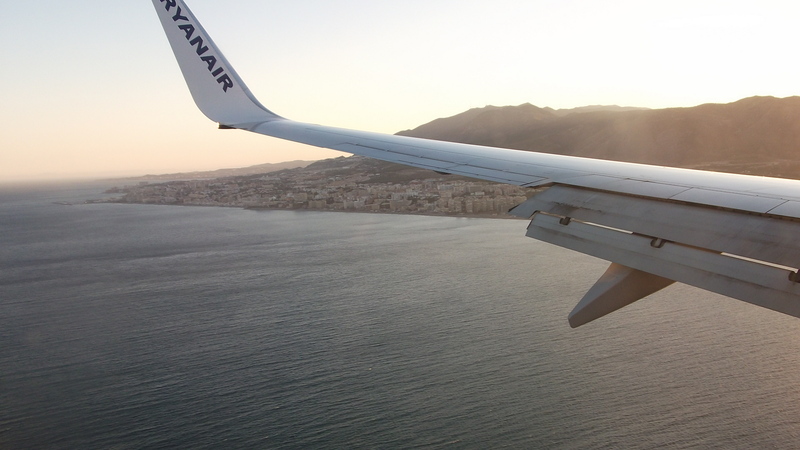 did you get the Ryanair ON TIME fanfare as you touched down? Hahaha …. yes I did! 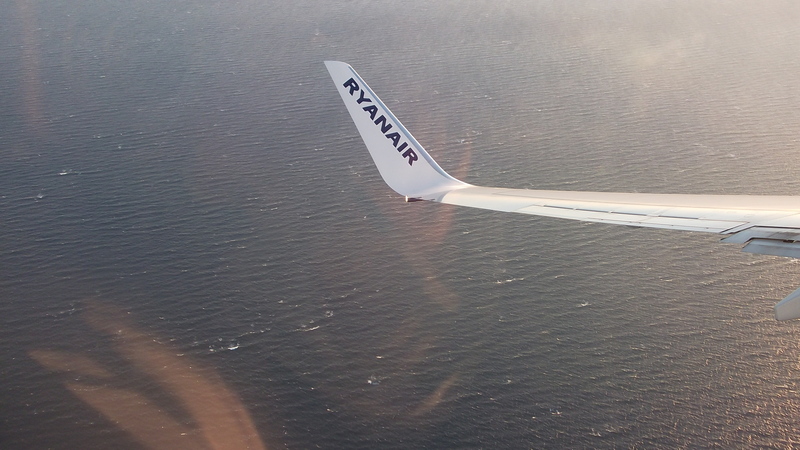 I know what everyone thinks about Ryanair … but if you play them at their own game, and accept they are just a means of getting from A to B, they are as good as anyone else … and often cheaper. I don’t and won’t fly any more – So thanks for showing me the view from up there! Don’t you, Sue? I know you usually drive back to the UK, but I didn’t realise you have given up flying. I very much enjoyed flying over a new (for me) country with you! I do not like to fly, but always try to get a window seat to enjoy the view. Most of my flying has been to and from my home in Washington state, U.S. to my family in Alaska, and also to/from Hawaii. I have never been to another country, but have dreams/goals of Greece and Central America. Thank you for this fun and thought provoking post. You’re welcome, Patti – glad you enjoyed tagging along! I’ve been to almost 60 countries, so our of 196 in the world, that’s getting well on the way to one third of them. I love travelling. In fact, as I type this, I am on a fast train from Budapest (Hungary) to Munich (Germany) to see the Christmas markets. I love to travel too. Have fun at the markets! The actual flying is fine, I just don’t like the getting-to-the-airport thing. I usually fly to Australia and/or New Zealand ever year – and even though I know it will be 24 hours (or more) of my life, I quite like the peace and quiet, and usually focus on how different things will be once I’m there. As you say, it’s the airport hassle that’s the problem. I hate flying and, as you said, I tolerate it to get from down under to up over. I only ever choose a window seat for short flights. On long flights I prefer the aisle seat so I can easily walk about when I’m physically bored. Haven’t seen any countries from up high that I’d like to visit, but I’ve seen spectacular sunrises. A memorable one was over Iran. I took its photo. 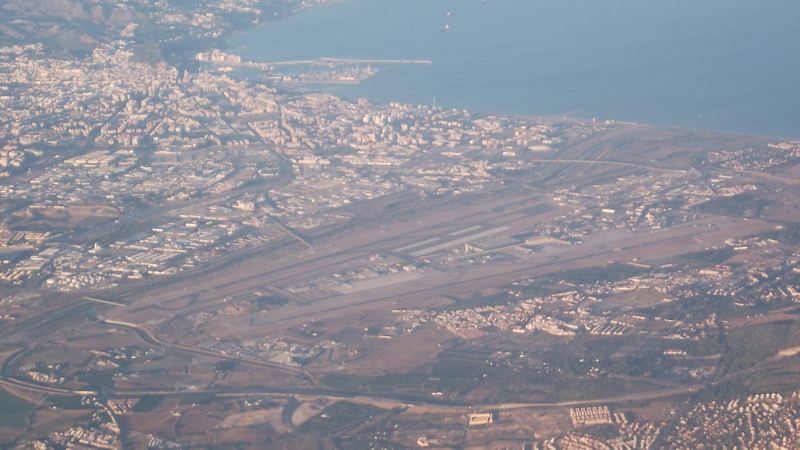 Oh, and I really enjoyed this post and the approach over the coast. That would be good! OH do you Trish? That’s a shame – I try to embrace everything about flying – but I must admit it’s hard to be patient at some of the overly strict security involved, sometimes. I have to just keep thinking it’s for my own protection. Yes, sunrises and sunets can be wonderful above the clouds.